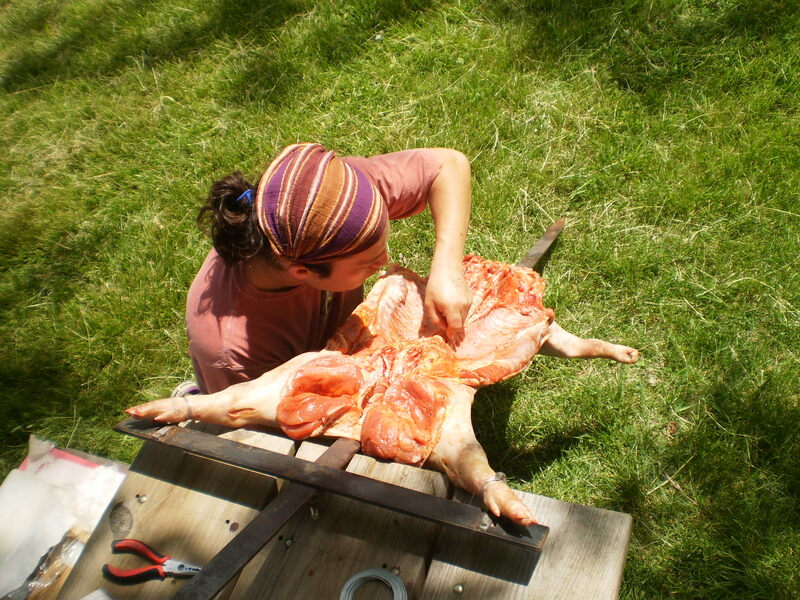 Mariano preparing the “lechon al asador,” Argentine-style pig roast at Peifer’s Orchards in Yellow Springs. – La Pampa will operate a mobile food unit this summer in and around Yellow Springs, Ohio, and Private Chef services for parties and special events. 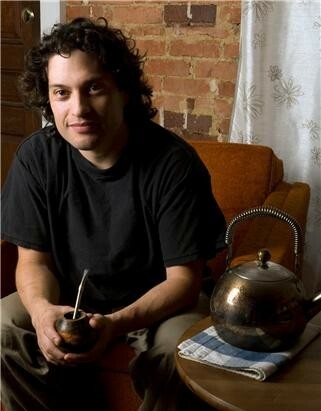 La Pampa is named for the region where Mariano Rios, the business’ owner and cook, was born and raised in Argentina. Mariano’s father worked herding sheep and cattle, and later as a professional butcher for many years. 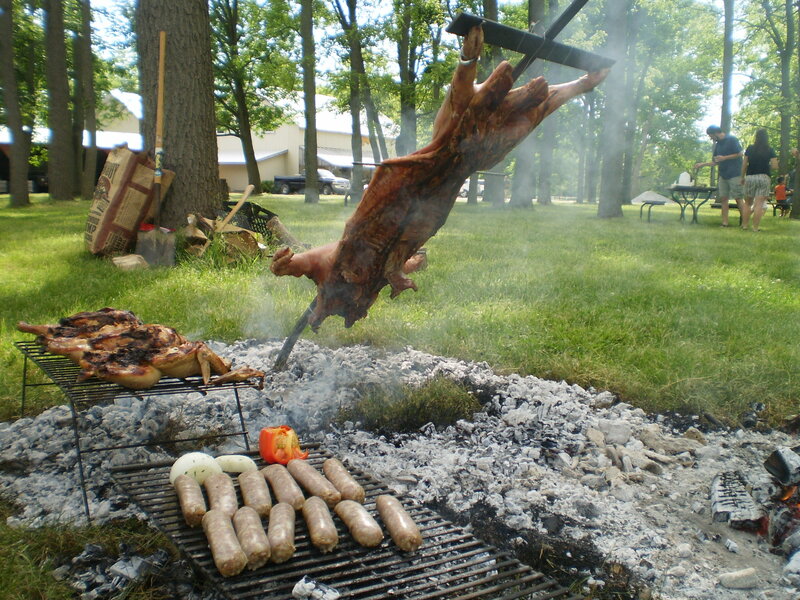 Mariano learned the art of the “asado” and “parrilla” fom his father, who to this day grills the best whole cuts in town. Mariano now lives in Yellow Springs with his wife of 9 years, Luisa, and their three year old son, Tome. Mariano has cooked in Argentina, Spain, Portugal, and Italy as well as honed a farm-to-table local, seasonal foods emphasis from his years on Woodberry Kitchen’s original team of cooks, mastering the woodburning oven. Hey what times are you at the Orchard? I enjoyed the demo on Monday! Its nice to have chorizo otra vez. haY kUMARR,, YES IT IT WAS SO MUCH FUN ON THE LIBRARY DEMO,,,THE HR AT PEIFER ARE ARROUNR NOOM TILL 5.00PM, ON SATURDAY AND SUNDAYS,, THER ARE PICK-NIC TABLES, BIGS TREES,, AND ALL PEIFER’S FRESH PEACHES,, OFF COURSE “lA PAMPA”.. JEJEJE SEEU….